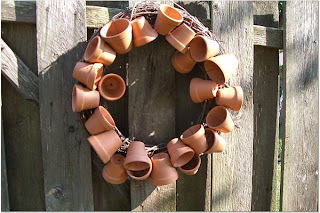 I really want to start gardening and I think that this wreath would be so cute hanging from an ivy covered arbor or an entrance into a garden. I would use the small pots for this one and then I would plant chia or something like that in the top pot to make the hair. I think this would be a good one for the kiddos. When our kids are old enough I think it would be cool for them to each paint and make their own and then they could each have a little nativity to go on their dressers. 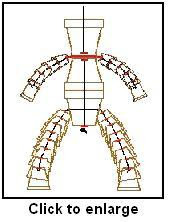 This image isn't terra cotta but it would be a great project for a large terra cotta pot. 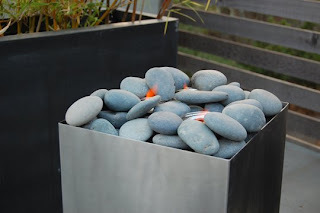 This website even has a video on how to make this little fire pit. I think it would go great on our deck!